The 55WS50BS-B 55" Large Screen IPS Edge Full HD Capable LED Monitor from LG Electronics offers a resolution of 1920 x 1080 and features an ultra slim bezel with a width of 0.44". This ENERGY STAR 5.1-compliant monitor supports both landscape and portrait views, and consumes approximately 40% less energy. This display has a built-in temperature control that adjusts to light and heat, eliminating dark or blackened areas. Color changes and distortions are eliminated from any viewing angle (Color change average @ 60° and gamma change average @ 60°). 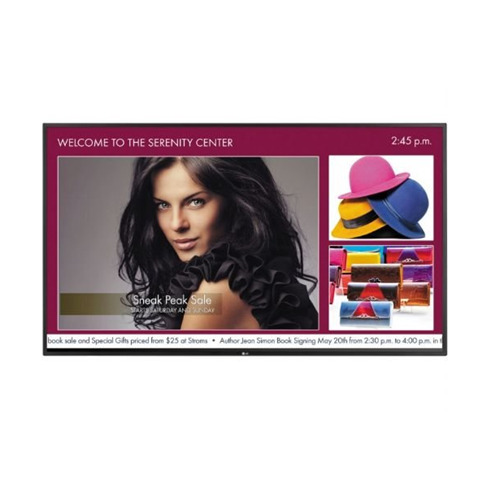 The monitor displays clear and vivid pictures with the deepest black and consumes approximately 40% less energy. The high durability of the PD Module allows operation 24 hours a day. It is highly effective and allows for continuous performance. The MP500 External Media Player (sold separately) has a slim profile and will help your signage look professional while providing easy accessibility for maintenance. The display features a USB port that allows for USB multimedia playback. This feature reduces energy consumption by approximately 30%. This display is ENERGY STAR 5.1 compliant and consumes approximately 40% less energy. In standby mode, it uses less than 1W of power and meets environmental regulations such as EPA 5.1 and Erp while excluding the use of harmful materials (RoHS) and reducing CO2 emissions. The IPS feature accurately displays an image's quality and color at an 178° wide viewing angle. There is no fall-off in color accuracy and no diversion in contrast ratio at wide angles. From bright sunlight to challenging lighting environments, this display maintains optimal color temperature for life-like images. This display has a slim bezel with a width of 0.44", which is equal on all sides and draws attention to screen images and not the display for impactful messaging. 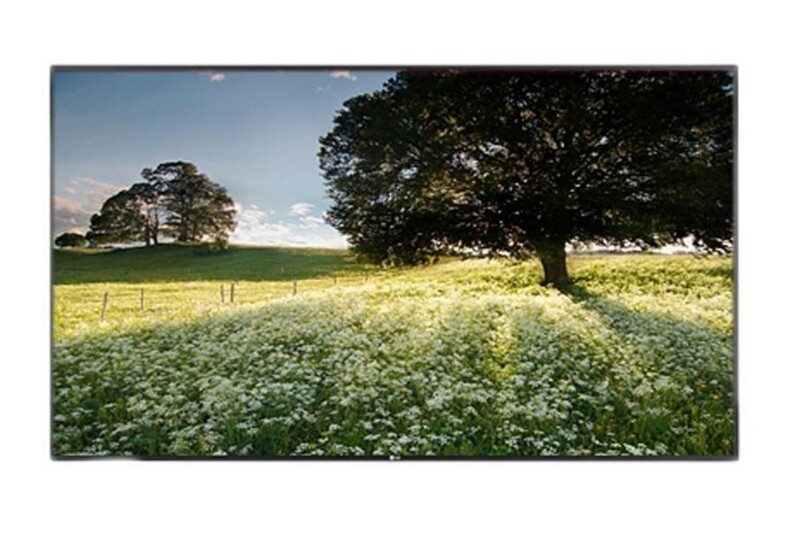 With the ability for a 15x15 matrix, the display will seamlessly broadcast life-like images. 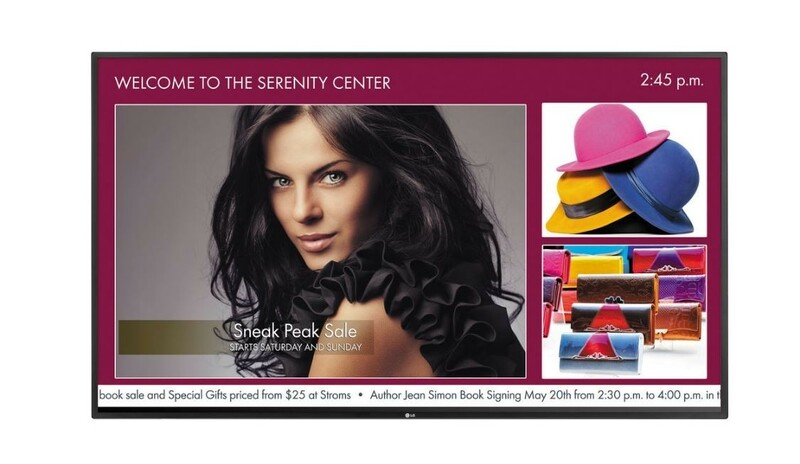 The slim bezel creates a video wall that can easily be installed, maintained, and managed. The display's Intelligent Sensor continually monitors room light conditions to automatically optimize picture quality for a more enjoyable viewing experience, which can help save energy. With the help of Dynamic Power Savings using built-in algorithms, the display automatically reduces power consumption based on incoming video while maximizing picture performance. Using the Static Power Savings feature, the picture brightness level can be set at the preferred power consumption level to reduce power and increase energy savings. The monitor meets the Appliance Efficiency Regulations of the CEC (California Energy Commission) and the directive on the restriction of hazardous substances (RoHS compliant). Additional features of this public display include Tile mode (Up to 15 x 15), Key Lock, Temperature Sensor, PIP/PBP, DPM Select, Auto Config/Phase, Auto Power/Source Memory, Position/Size, Brightness/Contrast/Backlight, and Clear Voice II. What’s in the box: LG 55WS50BS-B 55" Large Screen LED Monitor, IR Receiver, Remote Control, Power Cord.